The Barrett Daycare Center, formerly the Janie Porter Day Nursery, has been providing quality child care for the Charlottesville community for over sixty years. The records of this facility document the growth, successes, struggles, and changes in the African-American community in Charlottesville. In addition, the records tell much about conditions in other organizations such as this one in the Commonwealth of Virginia, and throughout the nation. 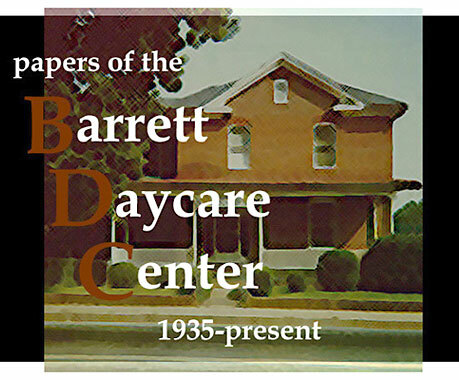 The Barrett Daycare Center Papers 1942-1995 are held at the Albert and Shirley Small Special Collections Library, U.Va. A guide to the collection is available, click on the link to the left.